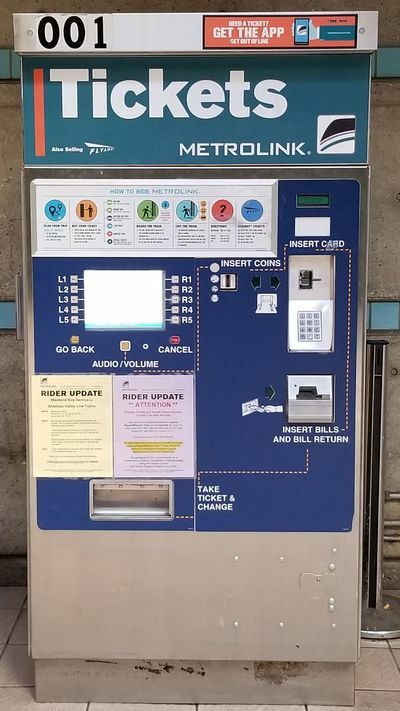 Metrolink ticket machines are available at every Metrolink station (and some Pacific Surfliner stations). They sell Metrolink and Amtrak tickets. This page was last edited on 4 December 2018, at 01:39.